Car accidents can come out of nowhere, happen in a split-second, and shatter your life. Victims of a car accident must grapple with the financial, physical, and emotional repercussions of the event, plus protect their legal rights to assert a claim for injuries. 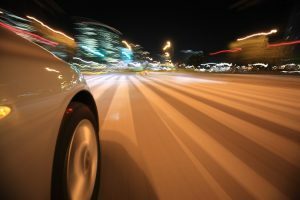 During such times, victims need an experienced Las Vegas car accident lawyer to guide them through the complex process. Glen Lerner Injury Attorneys can help you today. To get started on your case or discuss the what steps you should take, consult with a Las Vegas car accident lawyer with our firm. After a car accident, there are many issues to deal with, including: recovering from the injuries and pain suffered in the accident, paying for medical bills, addressing requests from the other driver’s insurance companies as well as the routine life demands that existed before the accident. Insurance companies know that accident victims are under pressure to quickly get back to their daily life, and offer minimal settlement amounts hoping to end any claim quickly. Although tempting, these initial offers are always well below the true value of the claim and can happen before an injured victim fully understands the extent of their injuries and the medical treatment they may need. Even if the other vehicles involved in the accident were not totaled, the damage to the driver and passengers – both physical and psychological – can be substantial. A fender bender can also lead to major injuries, some of which become evident only after some time has gone by. It is uncertain of what issues may appear following an accident, but symptoms can range from mild to severe. This includes mild symptoms such as difficulty sleeping, chronic headaches, forgetting things or difficulty staying organized may be an indication of a traumatic brain injury. For these reasons, those involved in a car crash need to speak with a car accident attorney in Las Vegas as soon as possible after an accident. Our lawyers can explain the realities of a situation, including claims to be made, the insurance policy against which the claim may be asserted, and the procedure for building and asserting a claim. An accident injury lawyer will also begin collecting important evidence to support the claim. Other parties involved may also seek legal representation and, along with the other insurance company, will likely begin building a defense to any claim almost immediately after the accident. Accident injury victims need to seek the advice and counsel of a Las Vegas car accident lawyer to protect their rights and also, build their claim. If you have been involved in an accident, gather names, addresses and other information from the other people with personal knowledge regarding the accident and how it occurred – not just the other driver and passengers, but any witnesses to the incident. This witness testimony is often the most important part of an accident claim when there is a dispute as to the cause of the accident. It is crucial to gather evidence before individuals disappear from the scene or their memories start to fade or become muddled. The more facts available, the greater the chance of winning a claim. Were there other motorists or pedestrians who played a role in the accident, even if they could drive or walk away? What traffic signs were posted and also, was there anything in the roadway that did not belong there? What damage did the vehicle receive in the accident and was the damage photographed? Was the other driver working or what did the other driver say after the accident? Were the vehicles moved after the accident but before the police arrived? A thorough physical examination by a medical professional immediately after the accident is necessary. Sometimes the full extent of the injuries suffered in the accident are not apparent until months later. The pain experienced from soft tissue injuries suffered in an accident get worse over time. An assessment of all injuries by a medical professional is the best way for a victim to begin healing especially when coupled with the development of a treatment plan unique to the individual. That usually includes all medically necessary treatments. Ignoring pain and injuries will only make the injuries worse and more difficult to resolve the claim with the adverse insurance company. All Nevada drivers must have insurance. Sadly, many do not. What happens then? Is your own insurance adequate? A lot of the language in today’s insurance policies is difficult for non-lawyers to fully understand. Attorneys with experience in car accident cases can cut through the legalese and also explain your options in layman’s terms. Our Las Vegas car accident lawyer will listen to the facts of the situation. They will also guide you through the process of making an insurance claim or filing a lawsuit. Do not wait another day to get the advice you need. Give us a call today! We look forward to hearing from you and also helping you with your case.